Cisco beat analysts’ estimates as it reported its quarterly earnings but any signs of sanguinity were firmly quashed with the sobering news that 6,000 jobs were to be cut. The networking titan broke the news at the same time as reporting an end to the revenue contraction which had plagued the company in recent quarters. John Chambers, CEO, said that the savings from the 6,000 job cuts, which represents 8.1% of the workforce, would be ploughed straight back into developing areas of the business. Cisco reported better than expected net income for the quarter of $2.25bn or 43 cents per share, compared to the year-earlier period of $2.27bn or 42 cents per share. Revenues for the quarter were $12.4bn, which was again ahead of Wall Street’s expectations and roughly in line with the previous year. Geographical issues continued to haunt Cisco. Sales in the UK, US and Germany had risen more than 10%; however continued contraction in developing markets more than offset any ground made on home soil. Evidently still suffering the fallout of the Snowden affair, sales in BRIC nations fell by roughly 12% while sales in China fell by 23%. “Unfortunately as we look out we don’t see emerging markets growth returning for several quarters and believe it possibly could get worst,” said Chambers in the conference call with analysts. The other major challenge faced by Cisco is the need to adapt to demands of the modern enterprise. 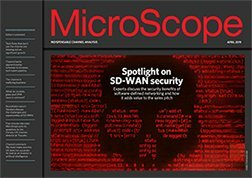 The company, which built its reputation on router and switching hardware, is coming under growing pressure to restructure its core offerings in keeping with an increasingly software-driven market. 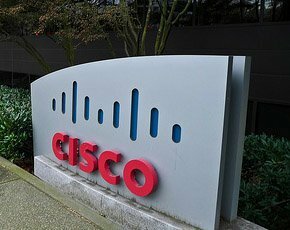 Many on the outside believe that Cisco is a victim of its own success; too large to evolve in such a dynamic ecosystem. However, the CEO said that he firmly believed the company was doing what was necessary to remain a market leader. “As always, we have to deliver the innovation to new business models and value to our customers to win in the market and that requires continually reshaping how we operate,” said Chambers.